Gov. Mary Fallin has vetoed a legislative bill that would reduce the legal liability of mobile home parks that allow residents to ride out storms in their offices. Meanwhile, she has signed into a law a similar bill that reduces the legal liability of gun ranges, gun shops and gun shops if injuries occur at their businesses. Or, to put in another way, Fallin cares more about political expediency than anything else. She can’t oppose the state’s Second-Amendment fanatics if she plans to run for a second term as governor, and, let’s face it, the mobile home park vote is probably not a key constituency for her in terms of campaign contributions and votes. Even given that, the contrast here is remarkable. House Bill 2296, the one vetoed by Fallin, would have exempted mobile home parks from civil liability if they offered shelter in their offices during tornadoes. I’m unsure that holds up. How do you define “unsafe environments”? The recent tornado in Woodward killed four people at a mobile home park. Residents there received short warning of the tornado. A trailer is perhaps the least safe place to be during a tornado. The state’s history is filled with deaths of people who have died in trailer homes during tornadoes. Any type of effort to reduce the death toll is probably worth it. I favor requiring mobile home parks to install storm shelters. Weintz, according to a media report, said the governor thinks mobile home park operators need to make sure shelter buildings are actually safe, but why doesn’t she push them to do so? Does she believe mobile home parks should be required to install storm shelters? It’s not likely that you will get shot on a gun range, but there is a higher risk of getting shot on one than say in your own home. Due to this, gun ranges and the people who frequent them are vulnerable to frivolous lawsuits. Creating a higher standard of culpability in order to sue is a reasonable and appropriate change to current law. I was extremely proud to see this legislation signed into law. This will help reduce the cost of liability insurance for these small businesses that are already struggling in our tight economy. But isn’t it true that you’re more likely to get injured or killed during a tornado in a mobile home than in most other structures just like there’s a higher risk “of getting shot” at gun ranges than at houses? Mobile home parks are small businesses, too. What about the cost of their liability insurance? My point is you can make these arguments fit both bills. Also, how come Fallin doesn’t apparently think the gun-related bill won’t lead to less safe environments at gun ranges, guns shops and gun clubs? Shouldn’t they make sure their businesses and activities are actually safe just like mobile home parks should ensure their shelters are actually safe? 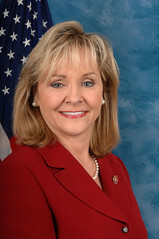 That Fallin (or any politician, for that matter) chose political expediency and contradicted herself is nothing new, but Oklahoma does have an issue with tornado safety. It’s a much larger issue than protecting gun ranges for some type of meaningless Second-Amendment ritualistic thrill.